A sleek addition to your dining room, this clean white table will be a modern attractive way to stylize your home. 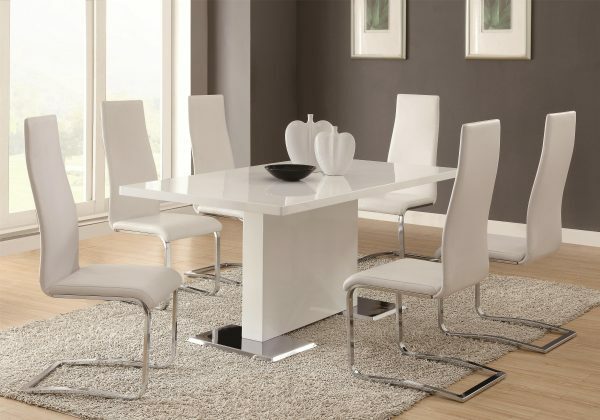 The smooth square table rests above a sturdy chrome finished metal base. 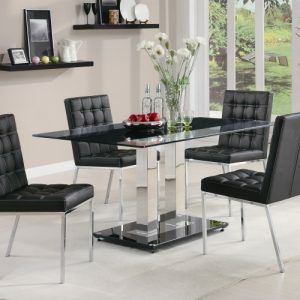 The chairs feature chrome legs and a faux black or white leatherette seat that is both comfortable and attractive. 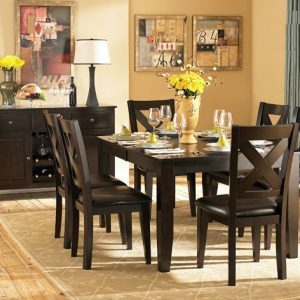 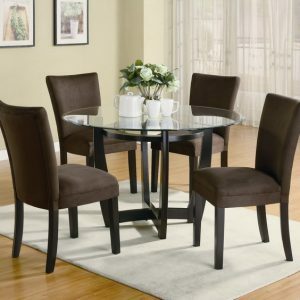 Together they make the perfect dining room set.